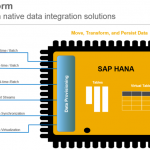 SAP In-Memory Computing Engine (IMCE) Server 1.0. SAP IMCE Studio1.0 (includes SAP HANA Modeler). Sybase Replication Server 15 + Sybase Enterprise Connect Data Access (ECDA). 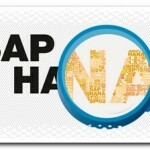 SAP In-Memory Computing Engine (IMCE) the IMCE is the in-memory, column-oriented database technology and powerful calculation engine at the heart of SAP HANA. 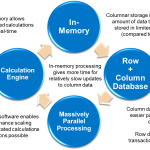 In-memory processing pushes data into RAM, providing highly accelerated performance compared to systems reading data off of disks. The IMCE administration tools are provided by the SAP in-memory computing studio. SAP In-Memory Computing Studio: This is an Eclipse-based interface that provides SAP in-memory computing engine administrators with easy-to-use, data management tools (Administration Console) and business-centric data modeling tools (Information Modeler). Administration Console: The SAP in-memory computing studio administrator console allows technical users to manage the SAP in-memory computing engine (and other devices) as well as create and manage user authorizations. 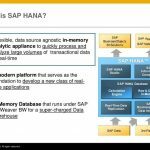 Information Modeler: The SAP in-memory computing studio information modeler allows technical users to create new or modify existing models of data. Sybase Replication Server the Sybase Replication server supports real-time replication across a wide range of database platforms, moving transactions (insert, updates and deletes) at the table level from a source data server to one or more destination data servers.